Indian tribe is looking ahead to develop a casino in its ancestral Georgia home. The latest move taken by tribe is because of effort to legalize gambling in Georgia. 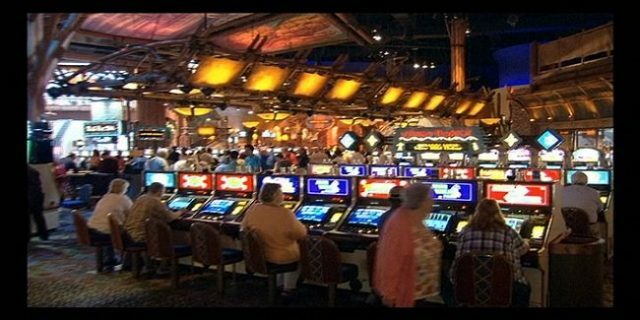 According to a lawyer of Cherokee, an Indian casino is very much possible in the region with the help of help a native Georgia people, who are looking for a better life and infrastructure. Local people o Georgia are very much in the need of construction and development and they certainly know that a casino will help them to generate good amount of money and will create many hundreds jobs for local people as well. Telling about the hopes Anile Locust, tribe’s executive director said that things are changing now and I would like to see people flourish in my life. In the move to legalize casino gambling in Georgia, tribes wrote a letter last month to the governor of the state Mr. Nathan Deal in which it said that “they should get the opportunity to build a casino place for people of Georgia, because they have status superior against all others. Meanwhile Richard Lea, the attorney of the state said that two casino companies are in active discussion to build a new casino here in this particular region. According to Lea, the companies may partner with Indian tribe to operate casino-project. If Indian Tribe gets an approval for the casino, they could help them to develop it as well. It means the chances are bright for the company to buy land for Indian Tribe in case it gets a gaming license to operate in Georgia. The state legislator will also be involved in any such deal happens in between Indian Tribe and Company’s. The deal may be finalized after a discussion between state legislature and casino developers, and that would yield “what amount of percentage” state would like to get.